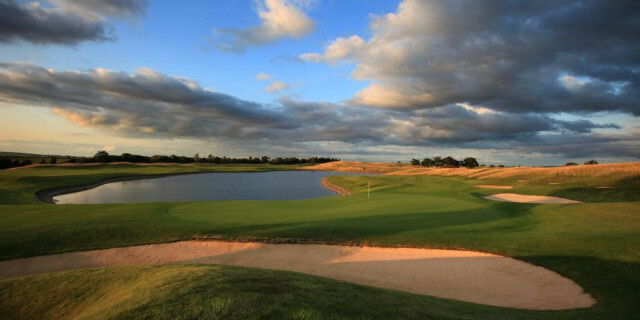 The Oxfordshire is a Championship 18-hole site with all of the accompanying features to make it a destination venue. Not far from Oxford city centre as the name suggests, the estate occupies a glorious vantage point in the rolling Cotswold countryside. Arriving at the club, the commanding clubhouse stands at the pinnacle of the landscape where the views over the course and surrounding countryside are spectacular. Every possible need is catered for at this substantial venue and in quite some style too! There is a feeling of upmarket quality in the fixtures and fittings of the clubhouse and there are all the practice facilities required to sharpen up before setting off on the course. The Oxfordshire was built to please and the first hole sets the tone for the round, offering a great view of the hole from the raised tee box. There is forgiveness on this course if you can miss in the right places, avoiding the large bunkers and even larger water features which lie in wait. On the first this means heading straight or edging right off the tee to avoid the lengthy fairway bunkers. This is a generous par four and the second shot is played down towards a very inviting green. This is a hole which welcomes you and represents an early opportunity to score points if played well. The front nine plays beautifully with plenty of risk/reward temptations. This really is a well thought out course and one which brings a smile to the face with the questions it asks. The dominating feature on the fourth hole is an assortment of bunkers which dissect the fairway two thirds of the way to the green. Because of this, a well struck tee shot is likely to afford the luxury of clearing the traps with the second stroke, whilst those who may have mishit slightly may also be goaded into trying to cream one past the trouble. This is perfect matchplay country; where trying to equal or outdo your opponent forces you to play shots you probably shouldn’t, but that’s the fun of it! Much applause to the course designer Rees Jones for inserting so much potential for drama here. No writeup of the Oxfordshire would be complete without mentioning the 8th which is another tremendously enjoyable hole. This short par four sweeps to the right sharply around a lake just before the green, meaning finding a prime position after the tee shot is crucial to scoring well. The second shot in towards the pin will ultimately decide your fate because the green which slopes from back to front offers little forgiveness if the wrong option is chosen. Billed as the signature hole, this really grew on me as we progressed towards the green. Members at the Oxfordshire will likely have played many permutations to reach the pin, with the water quite a daunting prospect when the flag is cut at the front right of the green! Par threes hit over water always represent a good challenge and on many courses act as signature holes. Such is the drama on offer at The Oxfordshire that whilst the 13th Is an excellent hole in its own right, it jostles for position with so many others as a favoured hole! The green is protected front and left by a lake which no doubt harbours every conceivable brand of golf ball. Another hugely enjoyable hole to discuss on the tee, there is a nervous wait to find out if the right club has been selected when the pin is placed behind the water on the left hand side of the green! The 17th at The Oxfordshire is one of the best holes of golf I have ever played. There is huge drama on every shot as this firecracker of a par five sweeps from right to left around a large lake which even offers the option of a second fairway on the other side of the water. There are so many possibilities to play this hole in different ways... crossing the lake is inevitable, the skill is in judging the optimal time, angle and shot to do so!! Rarely have I played a hole which asks so many questions, this was a true pleasure to experience and since playing I have often thought about how I might approach it next time! Both my playing partner and I put this in our top five holes of all time. 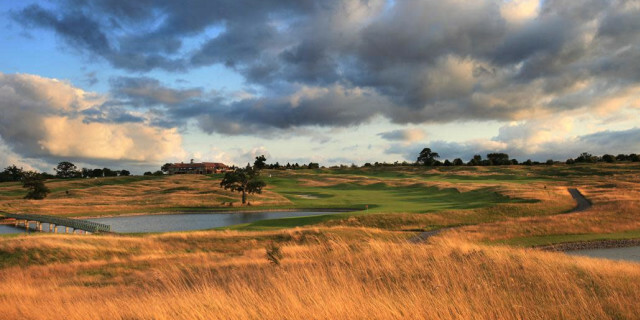 Finishing the round at the Oxfordshire is an opportunity to draw breath and recover from what is a whirlwind of a round. There is excitement, temptation and drama at every turn. The course plays fair, is attractive to the eye and requires every shot you can think of! 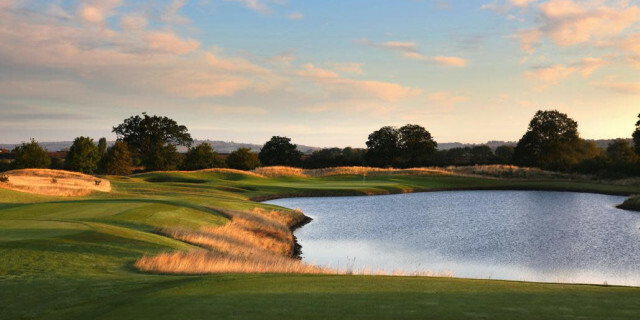 Playing the Oxfordshire is an experience and one which should be savoured. It is unique in the fact that it is a combination of inland links, American style drama with plenty of water and a bit of English parkland thrown in too. 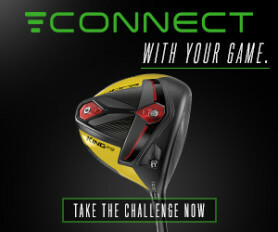 The one constant is the quality of the design and the smile evoking questions which are asked of the golfer. Whether you chose to go for broke or play safe, there is no doubt you will have a huge amount of fun playing The Oxfordshire. Top tips: Make use of the vantage points on the tee boxes to plan your strategy for each hole. Grab a course guide so you have the yardages over the water from wherever you choose to attack it. The course layout lends itself to matchplay so enjoy this format with your mates and goad them into shots over the water!